My name is Himanshu Sengar. I am learning in 10th class and I am very much interested to join Indian Air Force. Please Give me some information about how I join Indian Air Force full information. I am very much interested to join Indian Air Force. Can I join Air Force having completed my 10th standard? Is a student from management background eligible to join any field of indian air force? What is the scope in Indian Air Force after BCA ? Can a candidate be eligible to join Air Force after completion of 10th Class? Chances to join Indian Air Force for M.Arch candidate? Re: How can I join Indian Air Force being a 10th student? Detailed information about Indian Air Force? This is a good news dear and you have a interest to get a job in Indian Air Force. But you have to wait for some more time. Since after 10th there is No option available to join in Indian Air Force. There is a Chance to join in Indian Air Force after 12th only. Otherwise you will not have any option to get a job in Indian Air Force. 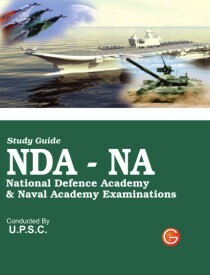 In fact after completion of 12th there is a Exam called " NDA ( National defense Academy ) " . With this you can get a job in Indian Air Force as Flying Officers. Only one option available for 10th candidates and that is "Musicians " post in Indian Air Force. If you are not interested in that you have to complete 12th with minimum percentage of marks from the recognized University. For the details you can click here,. 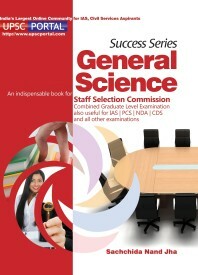 Age should be between 16 1/2 to 19 years and Selection process will be based on Written Examination and SSB Interview. 2. You must have attained the minimum age of 16 1/2 years and must not have crossed the maximum age of 19 years. 3. You must have completed 12th standard or equivalent with Physics and Mathematics subjects from a recognised board. No, you cannot join Indian air force being a 10th student. * Candidate must be a citizen of India. * Candidate should have passed class 12 examination from a recognized college/ board. * For Indian air force, candidate must have passed class 12 with mathematics and physics as compulsory subjects. * Candidate should be unmarried male. * The age of the candidate is in between 16.5 years to 19 years. You can't join Indian Air Force being a 10th student. You can join Indian Air Force after 12th class. 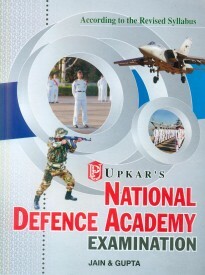 You have to apply for NDA exams ( National Defence Academy ). Both 12th passed and 12th appearing students can apply for NDA exams. Age Limit : Age of candidate must be from 16.5 to 19 years. Candidate have to pass 12th class with Physics and Mathematics or equivalent from any recognised board. Firslty , you should successfully complete 10th from a recognised board. Secondly , you should take PCM subjects in 12th . You should complete 12th with pcm subjects from a recogised board. After completion of 12th , you are eligible to apply for the NDA exam , which is an entrance exam to join in Defence services. You shouldbe a citizen of India. The exam will conduct by UPSC of india two times in every year. Nice to see that you are showing interest to join Indian Air Force. Don't worry I will provide necessary details to apply for Indian Air Force examination. To join Indian Air Force, you need to crack the NDA Examination. You should have completed intermediate with Mathematics and Physics as mandatory subjects from a recognized School or equivalent qualification. You must have attained the age of 16.5 years and must not have attained the age of 19 years. Those who are studying in the final year of 12th exam may also apply. Selection Process: Written Test, SSB Interview and Physical Test. No, 10th standard candidates are not eligible for Indian Air Force exam. Indian Air Force exam is conducted by UPSC through NDA exam. Candidates who have completed the 12th standard from a recognized board or equivalent exam are eligible for NDA exam. Final year of 12th standard are eligible for NDA exam. Your age should be in between to 16.5 years to 19.5 years.